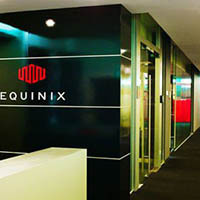 Equinix Data Center, Inc. (Nasdaq: EQIX), connects more than 4,500 companies directly to their customers and partners inside the world’s most networked DC. Today, enterprise, cloud, networking, digital media and financial services companies leverage the Equinix interconnection platform in 32 strategic markets across the Americas, EMEA and Asia-Pacific. 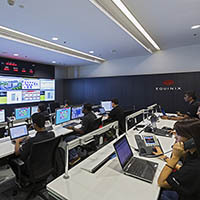 By connecting directly to their strategic partners and end-users, customers are forming dynamic ecosystems inside Equinix. These interconnected ecosystems enable companies to optimize the performance of their content and applications and protect their vital digital assets. 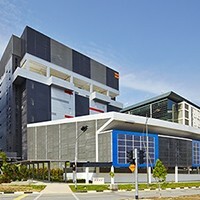 Equinix Data Center provides a total of 26,600+ square meters (287,000+ square feet) of colocation space in three state of the art data centers, with our latest Singapore facility, SG3, recently opened in Q1 2015. 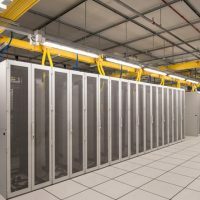 We can help get you up and running in Singapore with a rich portfolio of services, from expert consultations with our Global Solutions Architects, who can design and optimize your colocation and network services, to our Smart Hands™ support team for remote management.